I'm a very visual person and looking into a blank empty space with bare white walls makes it hard for me to put a room together. 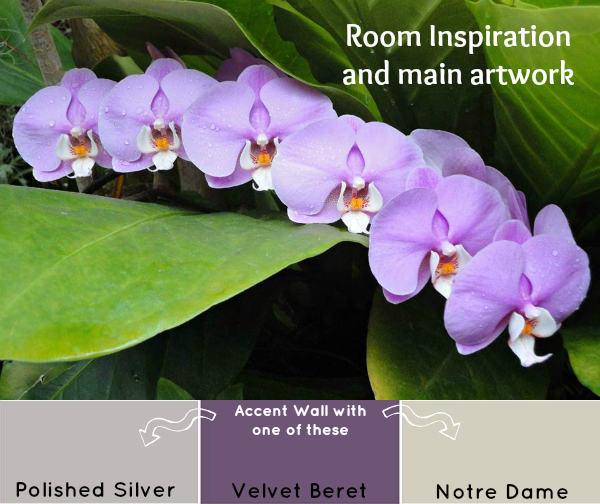 I have an inspiration and photo that I'm trying to work around which was a help when it came to choosing wall colors (although I still can't pick which grey to paint). I purchased a dark grey couch with light grey pillows, a purple chaise lounge, and the two printed chairs shown above. 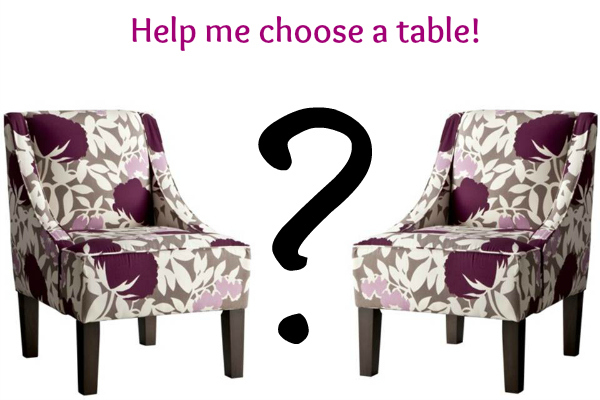 The problem I'm having now is trying to decide which table to buy for between the two chairs. It won't hold much, just flowers, books, and maybe a few other little gems. I wanted it to be something fun and different. I have narrowed it down to these 8 (the list was enormous) but still can't decide. Will you help me? Leave me a comment and tell me your thoughts! Great finds! I think I like 4 best; the chairs are so square shaped that a circular table would be a nice complement. By the way, I'm debating getting two #8s for underneath a big window in my living room. You can't lose either way here! I think I like 3 and 7 best! I can't wait to see it all come together! And I really like the polished silver paint...but I know that paint looks different depending on the room, etc. 7 or 8 but they are all great! 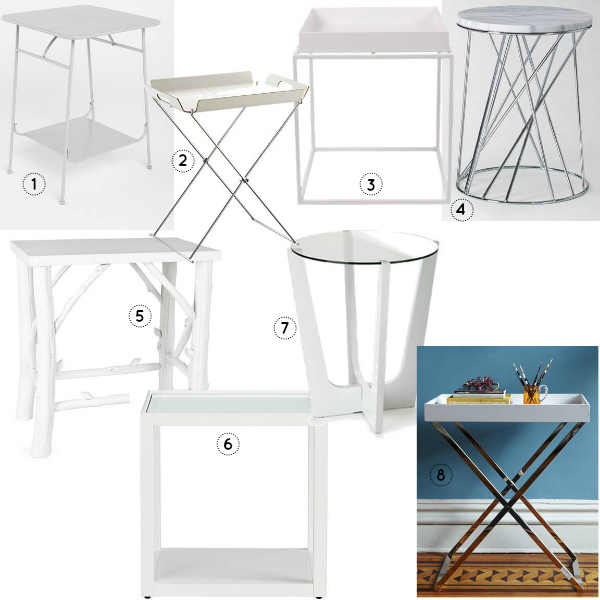 I think #4 would look the best with the chairs but they are all great choices! Just be careful of the height in comparison with the chairs :) PS. those chairs are fabulous! I like #6 or #7, the chair feels kinda modern. Great post and blog. Love #7. Love 3/8! Those are perfect!